In 2015-2016, his first season as Head Coach, the Eagles posted a 7-11 record. 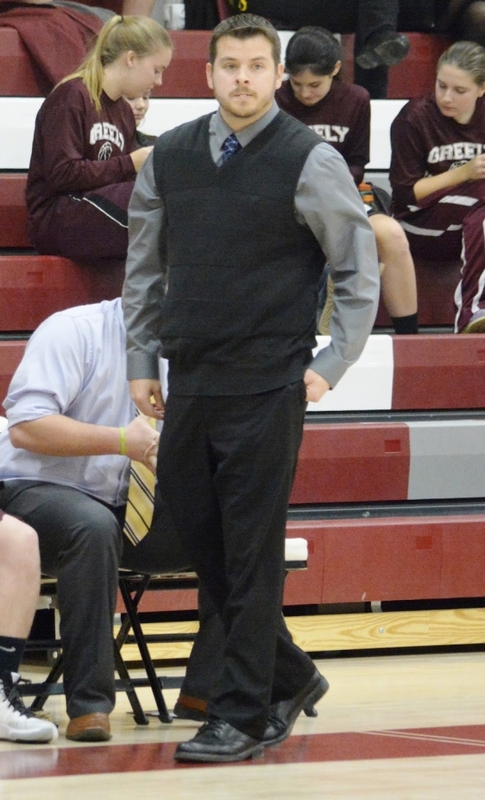 His second season the Eagles improved to 13-7 losing to Edward Little in the Semi-Finals of the AA North Tournament. Coach Pulkkinen received SMAA Coach of The Year for the 2016-2017 season. Chad graduated in 2002 from Windham High School, where he led the basketball team to the postseason his junior and senior years. While at Windham, Chad was a McDonald’s All-Star and SMAA All-Conference. Chad attended Saint Joseph’s College where he played under Hall of Fame coach Rick Simonds and current Head Coach Rob Sanicola. While at Saint Joseph’s, Chad accumulated numerous accolades as a player and served three years as captain. Chad helped lead the monks to an NCAA Tournament Appearance (2003), Northeast Region Independent Champions (2007), ECAC Championship(2007), and his senior year was a part of a successful team with a record of 22-8, which is currently the best record in schools last 16 seasons. His achievements as a player included scoring over 1,000 points, All-Independent Team (2007), All Maine State Team (2007), New England Senior All-Star (2007), Three-Time Independent Player of The Week (2007), Bridgewater State Tip-Off All-Tournament Team (2007), Maine Event All-Tournament Team (2007), and Independent All-Tournament Team (2007). After his senior season, he ranked 2nd all-time in career three-pointers made (192), was 3rd all-time in three-pointers made in a season (83, 2006-07), and 10th all-time in three-point field goal percentage (.341). He was also a very proficient free-throw shooter and ranks 2nd all-time in season free throw percentage (.857, 2006-07) and 6th all-time in career free throw percentage (.759). After graduating from Saint Joseph’s College with a Business Degree, Chad went on to play professional basketball overseas in England. He played for the Northampton Neptunes in the England Basketball League (EBL) in 2007-2008. Chad averaged 19 points per game and was one of the top players in the league. His playing career ended that summer after suffering a knee injury and was unable to return to England for his second season. Part of his contractual duties for the Neptunes was being involved in player development for over 400 kids in Northampton, United Kingdom throughout the week and on weekends around their practice and game schedules. The opportunity to coach the varsity program at Windham High School has always been a dream of mine. I always knew when my playing career ended, I wanted to somehow contribute and give back to the basketball program in my community. I look forward to this opportunity and helping our student-athletes both on and off the court reach their full potential. Chad resides in Windham, ME. He is married and has two children. He is the current CEO of Windham Millwork, Inc.